Do you have a Turkey Hunter in your family or on your giftlist? He will love this adjustable-fit camo cap with this beautiful embroidered turkey on the front! Add his name to the back at no extra charge! 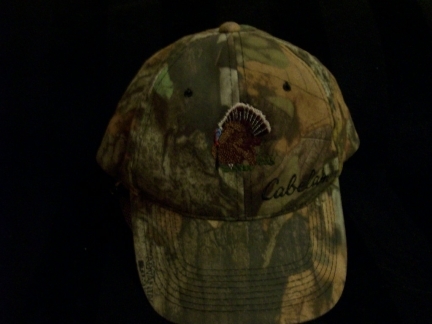 Please note that the Cabella's emblem will not be on cap!